When the American colonies were first established, New England sea captains would sail their trade routes down the coast to the Caribbean and return home with goods to share with the colonists. Upon his return to his seaside home, a captain would take a pineapple from his stock and place it on the fence post outside his front door. This pineapple signified that the sea captain had not only returned home safely, but that anyone was welcome into his home to eat, drink and be merry while he shared the details of his journey. Over time, the pineapple became a symbol of hospitality and a sign of being welcome. As a child, I remember pineapples being everywhere in our home. My mother has always been a big fan, and I remember around the time I turned seven, she had a gold pineapple door knocker installed on our front door (clearly she was 20+ years ahead of the trend!). I remember asking Mom why she loved the fruit so much, and she told me the story of the sea captains, and how the pineapple became a symbol of hospitality. And since Mom and Dad owned, managed and operated two hotels on Cape Cod, hospitality was everything to our family. 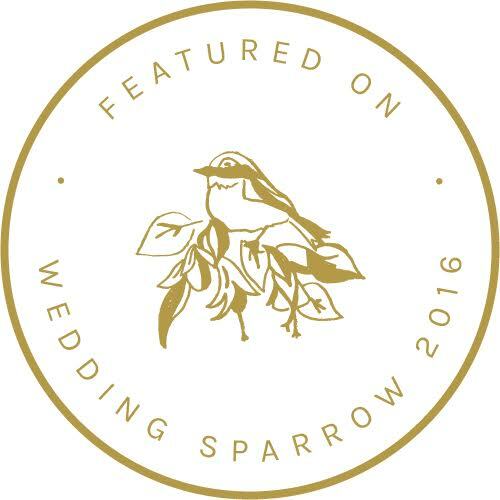 When I decided that it was time to pursue my dream of opening my own wedding planning business, I knew I had to find a symbol for Always Yours Events that would not only be pretty, but would also strike a chord and have meaning. I went through numerous different logo ideas, including chandelier silhouettes and golden laurel wreaths. But neither option meant anything to my heart. Finally, one of my best friends approached me during the branding process and said, "Why not write your mission first, and then work your way out from there. A logo will come to you." And sure enough when I took her advice, the pineapple came to mind. Always Yours Events' mission is to create a wedding day that tells a story among all the prettiness. AYE strives to invite our clients in to share their love story and journey, and then use it as inspiration and infuse this into the entire scope of this gorgeous event to create an ethereal, meaningful wedding day filled with meaningful details. And so, the AYE golden polka dot pineapple stands on our website, on the top of our proposals and contracts, on our business card, stickers, ribbon, you name it. It stands as beacon to welcome couples to AYE, where they can share their love story so we can create the more than pretty momentous day they deserve. So there you have it! The story behind the pineapple. And while I might be bias, I think the pineapple fits AYE perfectly.